October 12, 2018 6:46 pm. Capitulate will again wear blinkers at Doomben as he tries to atone for his last-start defeat. Promising three-year-old Capitulate will again carry blinkers when he attempts to atone for a recent shock defeat. Capitulate will be having his third start for leading Queensland trainer Toby Edmonds in Saturday’s Cascade 3YO Handicap (1615m) at Doomben. The gelding failed in two starts in NSW before joining Edmonds on the Gold Coast in the middle of the year. He won his first start for Edmonds when he wore blinkers at Ipswich over 1350m before finishing second at Doomben over 1600m two weeks ago. Capitulate had a perfect run at Doomben but was run down by one of his rivals on Saturday, Alpine Dancer. 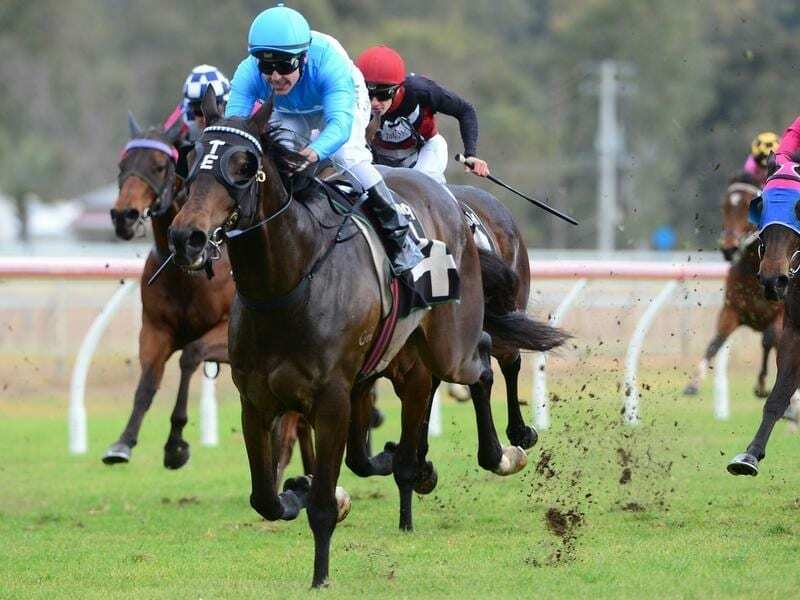 “He went well in blinkers at his first run for us but we took them off for the second start in an effort to get him to run the 1600 metres,” Edmonds said. Edmonds leads the metropolitan trainers premiership with 13 winners for the season and has formed a strong team with his new stable rider Ryan Maloney. The former Victorian jockey has ridden 25 overall winners this season, 17 for Edmonds. Capitulate races in similar interests to the Edmonds-trained sprinter Whypeeo who has gone for a spell after failing in Melbourne last week. Another of the team Edmonds had in Melbourne for the spring, Granny Red Shoes, has also gone for a break . Rival trainer David Vandyke will use Saturday’s race as a final pointer to a Melbourne trip for Miss Quaintly. “She will have to race well to make the trip,” he said. The Vandyke-trained Baccarat Baby is in the Group One Flight Stakes at Randwick on Saturday while Asharani is first emergency in the Thousand Guineas Prelude at Caulfield on Sunday.